National Gallery of Art is… for Kids Too! In today’s blog, Cindy Omidi discusses the National Gallery of Art’s resources for children. One of the best-kept secrets in the world of educational resources is the National Gallery of Art’s website. Specifically designed with kids in mind, the NGAkids Art Zone is a wonderland of activity for young, creative minds. Featuring everything from interactive painting activities to a customized art tour just for kids, the NGA obviously knows how to get children interested in all aspects of art. If you have children of any age, or if you are a teacher, spend some time getting to know what the site is all about. You’ll be surprised; there are plenty of activities of interest to adults as well! In any case, get familiar with the site so you’ll be able to give your children a complete tour. Many of the activities are designed to be enjoyed by the entire family, so don’t make the mistake of thinking this is a “kids’ only” website. Brushster: Kids can utilize a full-color palette to make fun abstract paintings. Faces & Places: This feature allows children to build animated portraits, landscapes and much more. Lizzy & Gordon: Want to learn more about the National Gallery’s sculpture garden? Follow Lizzy and her brother Gordon as they walk among the statues. Adventures in Art: This feature offers a kid-friendly tour of the NGA art collection, highlighting artworks that are chosen especially for children. Learning resources: Parents, teachers and entire families have countless resources at their fingertips when they visit the Art Zone. Navigate to family programs, sign up for newsletters, give feedback to the NGA, and access help and tech support, all from the main page of the Art Zone. The National Gallery of Art is to be applauded for its dedication to art education. Young children are often left out of the loop when it comes to the world of art. 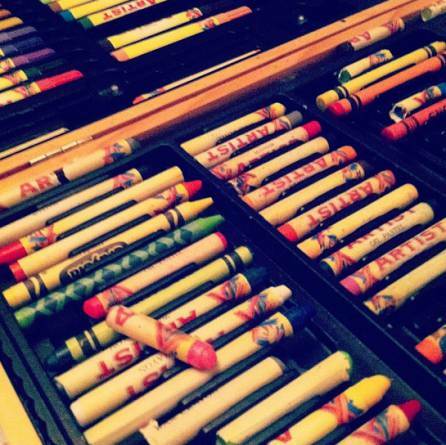 Its Art Zone is a wonderful resource for parents, educators and, above all, kids! Cindy Omidi, along with her sons, Michael and Julian Omidi, is an advocate for the health and wellbeing of people and animals. Cindy Omidi is an artist and activist, who is the co-founder of numerous charitable organizations. In today’s blog, she discusses the vital role pandas play in China’s ecosystem. Pandas are cute, cuddly and charismatic animals. They can be a main attraction at a zoo, as animal lovers will make their way to the panda area to get a glimpse of them before they wrap up their zoo visit. Pandas even make their way into pop culture, as videos of them frequently go viral, and they are replicated on the big screen, such as in the movie series, Kung Fu Panda. “Having pandas in zoos really engages people – it really is about getting people to care, and that’s important,” according to Stuart Pimm, a conservation ecologist at Duke University. Humans are destroying the panda’s habitat by killing the bamboo forests that they need to thrive. The panda is vital to China’s ecosystem, because it distributes bamboo seeds and allows the forest to survive, while providing a habitat to birds, insects, and other mammals that live there. Pandas also bring economic benefits to local communities in the form of ecotourism. The World Wildlife Fund believes that saving the panda helps preserve the rich biodiversity of their homeland, as other beautiful animals, such as the dwarf blue sheep, golden monkey, and other endangered species share the panda’s home. If the giant panda goes extinct, it would be a devastating blow to animals everywhere. However, if we work to save these beautiful creatures, we could enjoy their majesty for years to come. If your child said he or she was going to the Smell, you probably would have a lot questions for them. Since 2000, the Smell has been an all-ages music venue promoting punk rock, noise, and experimental music in downtown Los Angeles. It allows a healthy and creative way to experience their emotions, and be a part of a community. Most music venues are bars and clubs that restrict people under 21-years-old from attending. All-ages music venues like the Smell are an important outlet for teenagers to have a creative, fun, and safe time. It’s a not-for-profit and volunteer run. Because there is no bar and the only revenue comes from their five dollar ticket fee, the Smell depends on their music community to step up to help. You can rest assure that your kids will be safe at the Smell. Because it’s an all-ages venue, there is a zero tolerance for drugs and alcohol. Volunteers make sure that it’s safe for young and old, and people are encouraged to get involved. Whether that is helping to collect money at the door, curating a gallery show, or coordinating concerts, people are able to participate. Being part of a community gives kids a sense of purpose. It improves health and self-esteem to know that they belong. It keeps them physically active, and distracts them from their Xbox for a little while. When Ara Shirinyan, Jarrett Silberman, and Jim Smith founded the Smell, there weren’t many all-ages venues in Los Angeles. Music matters the most to teenagers, and having this outlet lets kids make friends, start bands, and have a voice. “The idea that these people can’t see these bands who are making this music, only because of the fact that they’re not old enough to drink alcohol, shows you there’s a very deep sickness in that system,” said Ian MacKaye, lead singer of Minor Threat and Fugazi. Kids who start bands learn about hard work, being part of team, and entrepreneurship. They have to work together to improve, and they have to promote their shows if they want people to go. Los Angeles is lucky to have a space were kids can do that. Along with local bands, many national touring acts have performed at the Smell, including bands like the Babies, No Age, Thee Oh Sees, and Ty Segall. Most of them sellout larger venue now, but frequently mention their fondness for the Smell in interviews. Amongst the landmarks in Santa Monica, the Miles Memorial Playhouse is the least known performing arts venue in Los Angeles County. The hall was built in 1929 and designed by famed architect John Byers. The Playhouse is located at the center of the Christine Emerson Reed Park in Santa Monica, between the park’s grounds and busy tennis courts. It was a gift from Santa Monica councilman and developer, J. Euclid Miles, who bequeathed $25,000 to the city to build a public hall in memory of her daughter, Mary A. Miles. The Playhouse was dedicated to the children and young men and women of the city. John Byers was a great admirer of Californian architecture and its Mexican and Spanish roots. He designed the building in the Spanish Colonial revival style with spare ornamentation. The structure has thick adobe and stucco walls, topped with a gabled red tile roof. The entrance features heavy studded wood doors that are framed with elegant pilasters. The interior retains its original main floor, stage, antique chandeliers, sconces, massive wooden beams and a grand fireplace. In 1994, the Playhouse sustained major damages during the Northridge earthquake. Since then, it has been completely re-built and renovated. Modern lightning, a projector and sound systems were added to enhance the hall’s experience. For more than 80 years, the Playhouse has continuously hosted a variety of programs throughout the year, from Jazz music to Shakespearean plays. The hall is owned and operated by the City of Santa Monica and offers subsidized theater rental for non-profit performing arts organizations, keeping in mind with the original donor’s spirit of community service. 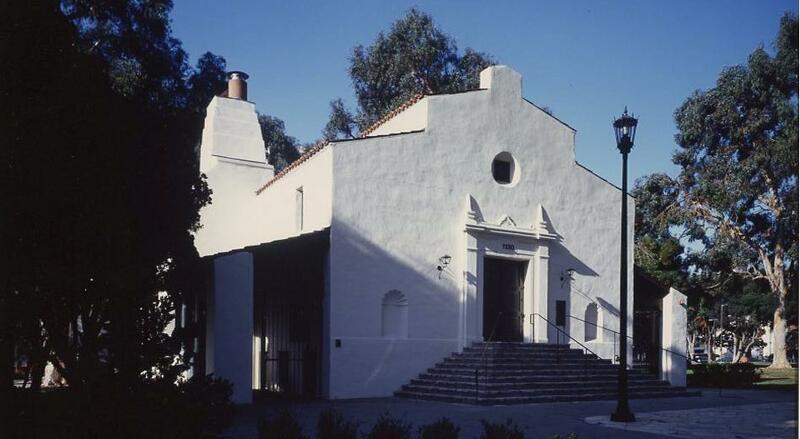 The Miles Memorial Playhouse has a designated landmark status in the City of Santa Monica. In today’s blog post, Cindy Omidi discusses some of the best animal-themed films of all time. Sometimes it’s a good idea to remind ourselves just how much our animal friends have enriched our lives. Hollywood has been producing movies about animals for decades. Indeed, some of the finest films ever made have animals as their central characters. Of the hundreds of such movies available, I’ve chosen what I think are the five best animal movies ever made. Check out any of the Internet lists of animal films, and choose your own favorites. Believe me, there are plenty to choose from. If dogs are your favorite pets, you’re in luck, because Hollywood has cranked out hundreds of dog movies. Dogs and horses, in fact, seem to be Tinsel Town’s two favorite animals, based on the number of films made about them. But even pig and whale lovers have heroes to root for. Here’s my list of five films, in no particular order of preference, with a very brief description of each one. If you have some free time this coming holiday weekend, rent a couple of your favorite animal flicks and laugh, or cry, to your heart’s content. • Babe: A pig with a massive identity crisis thinks he’s a sheepdog. This pig-with-personality will win your heart and make you think about the intelligence of animals. This pig can act, and even has Oscar potential! • Free Willy: Many people name this as their all-time favorite animal movie. Adults and kids have plenty to love here, with Willy the whale proving to be a likeable pal to a 12-year-old boy. Willy is the star, and should have been nominated for an Academy Award! • Old Yeller: This 1957 classic still entertains in a powerful way. Old Yeller is the most famous movie dog in history, with the exception of you-know-who (Lassie). 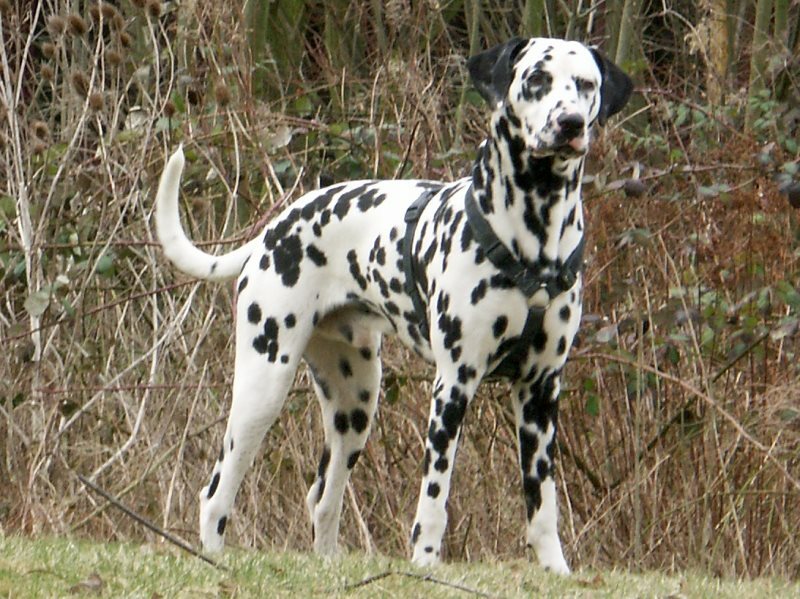 • 101 Dalmatians: Another classic doggie flick, this animated Disney film features a solid storyline and plenty of funny canine hijinks that will have kids laughing their tails off. • My Dog Skip: A newer “classic,” filmed in 2000, this based-on-truth story will melt your heart, and offers up plenty of lessons for adults and kids about how pets can change our lives. Cindy Omidi, mother of the Omidi Brothers, Michael Omidi and Julian Omidi, has a special interest in children’s causes and works with her sons’ charities, No More Poverty and Animal Support, among others. Cindy Omidi is an advocate for numerous causes to benefit the safety and welfare of people and animals. In today’s blog, Cindy discusses tigers that are in captivity in Thailand. If you visit Thailand, you may have the opportunity to interact with tigers. Nope, not in the wild, but in a confined area. You will be allowed to get close to the tigers and even pet them. Seeing these magnificent creatures up close could be a wonderful thing. There are many pictures of tourists in Thailand petting tiger cubs or even grabbing onto the tail of a full grown tiger as it rests. You may look at these pictures and wonder how these people were able to make it out of those cages alive. Unfortunately, people forget that these are still wild animals and there have been instances where tigers have attacked visitors. This past October, an Australian man was attacked by a tiger at a reserve in the city of Phuket. The park attendants dragged him to safety after he had sustained injuries to his abdomen and legs. He has since been released from the hospital. In 2013, a British student was knocked to the ground and bitten by a tiger at the Tiger Temple in Kanchanaburi. There are obvious safety concerns for tourists who want to pet tigers, but what about the wellbeing of the animals? A few days ago, Tiger Temple was raided by Thai authorities on the suspicion of animal trafficking. Tiger body parts, a traditional ingredient of Asian folk medicines, can sell for up to $60,000 on the black market, where many of these tigers probably end up. Volunteers also reported that the tigers were left in extremely small cages for as long as 20-hour at a time. They were also subject to the extreme Thai heat. The animals were even deprived of food and water as a way for their human trainers to establish dominance over them. At Tiger Kingdom in Chiang Mai and Phuket, trainers are encouraged to walk around with bamboo sticks and hit the animals on the nose when they fail to obey a command. There are also rumors at both Tiger Kingdom and Tiger Temple that the animals were drugged so they would be more docile around humans. Wild animals that are domesticated can never return to their natural habitats. While tigers are to be looked upon with awe, we must keep in mind that they are still wild animals and we have to allow them to run free. Mistreating these beautiful beasts for the sake of the tourism industry is a shameful practice that should be ended immediately. Cindy Omidi, along with her sons Dr. Michael Omidi, and Julian Omidi, are advocates for the safety and wellbeing of all living creatures. She and her sons have co-founded a number of non-profit organizations, including No More Poverty and Civic Duty. So many times in life I have met people who desperately want to give money and resources to the needy, but are unsure of the best way to go about it. They often need the assurance that the money they give is going directly to support the people and animals they wish to support, and not into the annual bonus check of a charity’s CEO. While there are some charities that are more transparent about how donations are spent, it is often difficult to know with certainty that your donations are making a difference in someone’s life. That direct human connection is the spirit behind a new trend in charitable contributions: crowdfunding. Crowdfunding is the practice of funding an individual or business venture by raising small amounts of money contributed by a large number of people. Crowdfunding rose to prominence with websites like Kickstarter, which allows people to make monetary contributions to help finance the development of a project or product. To date, Kickstarter has helped raise over $2 billion to fund everything from movies and video games to innovative technology. And thanks to the success of crowdfunding, many people in need are able to connect directly with donors. One of those people is James Robertson. James is a 56 year-old factory worker in Detroit, Michigan. He has been without a vehicle since his 1988 Honda Accord stopped working over a decade ago. 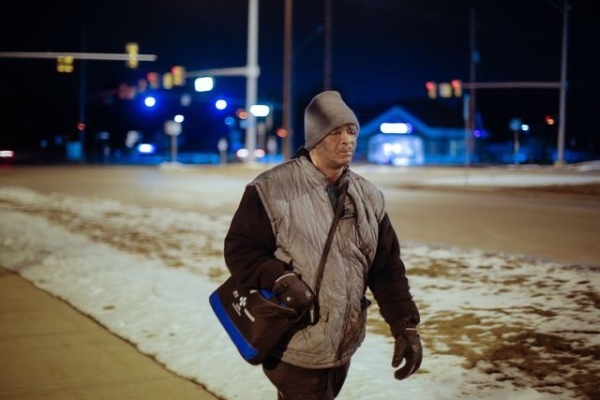 Rather than use this as an excuse, James makes his 23-mile commute to work each day by taking a bus partway, and covering the remaining 21 miles on foot. When word of James’ extraordinary story eventually spread (he has been making this commute regularly for over a decade), so did a groundswell of support. A crowdfunding campaign to raise money so James could buy a car was created on the popular website GoFundMe. Within days, the campaign had raised over $223,000 in donations. And James Robertson’s situation is just one of the many that sites like GoFundMe have helped give happy endings. On the section of the site highlighting popular campaigns, you can find a campaign that has raised over $36,000 to help the parents of a 2-year-old toddler pay for the child’s cancer treatments. Another campaign created by the Mission Corps Community Center has raised over $106,000 to help residents of a low-income building who lost all of their belongings in a tragic fire. These campaigns, and hundreds more like them, allow charitable donations to go directly to the people who will benefit from them, without the ambiguity that some people find off-putting with traditional charities. It is important to note that these campaigns can be started by anyone, which will inevitably attract scam artists looking to take advantage of people’s better nature. But the simple fact that crowdfunding allows for a direct and convenient way to give to those in need is worth highlighting.